KSP Trooper Bernie Napier said William M. Riddell, 53, was found dead inside his home this morning. WADDY, Ky. (WHAS11) -- Kentucky State Police is investigating a murder in Shelby County after they found a man dead inside his home on Bardstown Trail in Waddy, Ky.
"Just doesn't happen here very often," Aimee Weichert of Shelby County said. "It's a pretty small town so things like this just don't happen." KSP Trooper Bernie Napier said William M. Riddell, 53, was found dead inside his home on Feb. 20. "We're not sure just yet from the injuries if they were sustained inside or outside of the house, but he did die inside of the home it would appear to us," Napier said. According to Napier, there was another man found at the scene with injuries who was transported to the hospital. KSP has not released that man's identity or his condition as of Wednesday afternoon. Police are still trying to figure out his relationship with Riddell and what his role was in the incident. "I don't know if they were just friends, kind of congregated here," Napier said. "We didn't know anything," Weichert said. "We just kind of heard through the grapevine and everyone's phones were just going off about it." Weichert said the news Wednesday morning was particularly upsetting because her cousin lives in that area on Bardstown Trail. "I mean it's horrible," she said. "You just don't know. like I said, things just don't happen like this, so when you don't know, it's pretty terrifying." Weichert said she was not close to Riddell, but knew who he was around town. She said her cousin was friends with him. "They were just neighbors," she said. "They would help each other out." 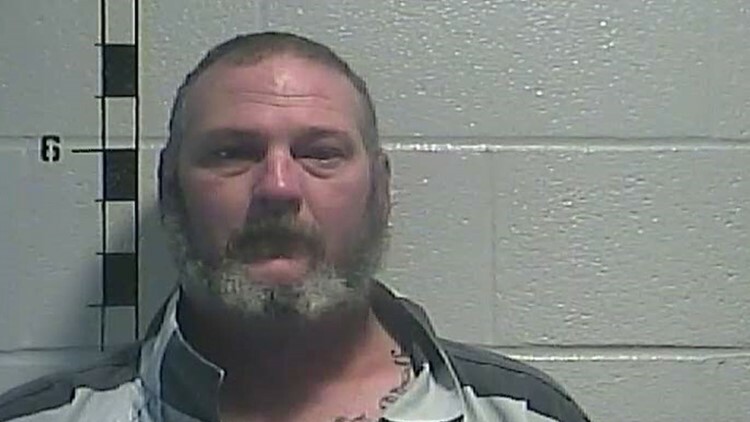 KSP arrested 41-year-old Brian Myers of Willisburg during the course of their investigation. Myers has been charged with the murder of Riddell. Police have not released a cause of death. Police are talking with people who knew Riddell and those who live in the area. "This is a pretty rural area of Shelby County and here in Waddy," Napier said. "There are some railroad tracks close by. Houses are pretty far apart so they've got a lot of work ahead of them."